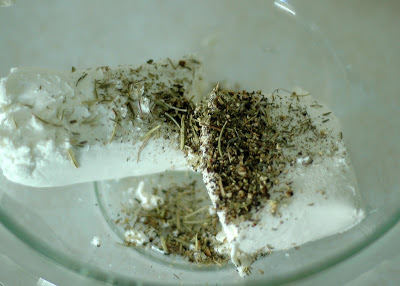 I promise I’m almost done posting recipes with goat cheese in them. I just love Chevre too much, that’s my problem. And as you’ve seen, we have been eating a lot of it lately. I couldn’t find the exact recipe I saw awhile back, so I sort of threw things together and hoped it would all work out. It did! 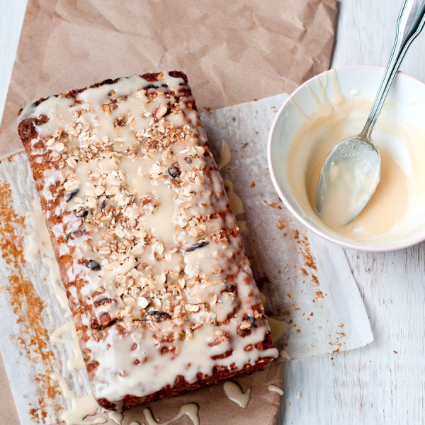 We love this tart! 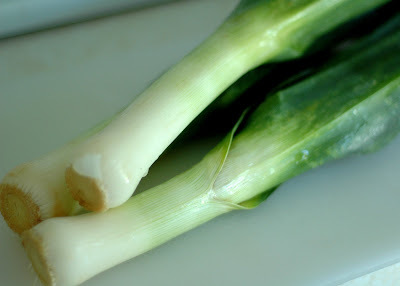 The thing to remember when working with leeks is that they are extremely dirty. You must wash them thoroughly before you use them. I use my salad spinner to wash leeks. You don’t want to have a lot of excess water on them after you wash them–especially if you are going to saute them. I usually do about 3 changes of water just to make sure I get all the dirt or sand out. And I separate the rings, too. Give them a quick spin and they are ready to use. 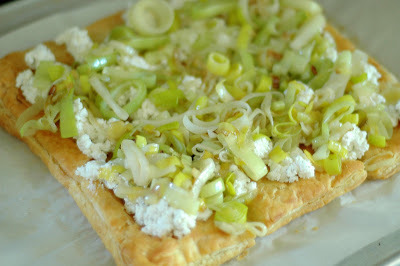 As I said, we loved this leek tart so much. It was very rich, and we couldn’t eat as much as our eyes wanted us to eat. It went well with a large side salad. I even think if it were cut up into smaller squares, it would make a fabulous appetizer. Preheat oven to 425 degrees. 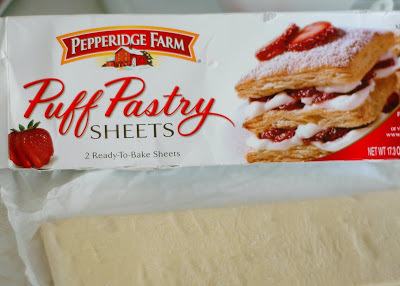 Roll out puff pastry and place on a parchment lined baking sheet. 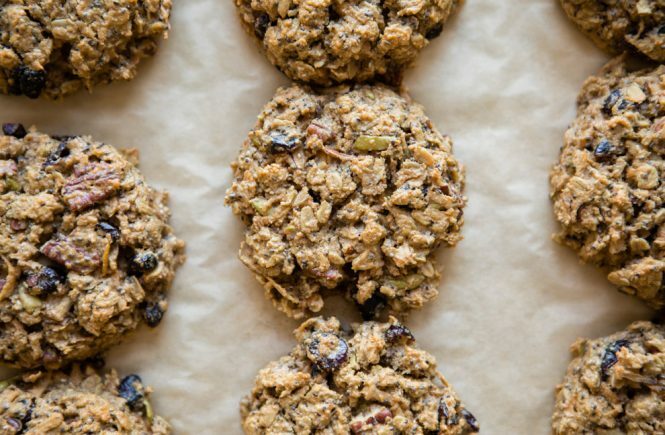 Bake pastry for 20 minutes, or until puffed and golden. Remove from oven and press down lightly on the top of the pasty with a spatula to release the air. Meanwhile, heat a large skillet over medium-high heat and add the butter or oil to the pan. 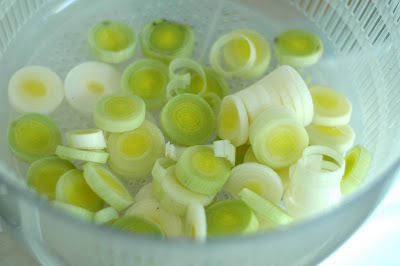 Add the leeks and sprinkle with sea salt; saute until they soften and start to take on a bit of golden color. Set aside until ready to use. Spread, or sprinkle, the cheese mixture evenly over the baked puff pasty. 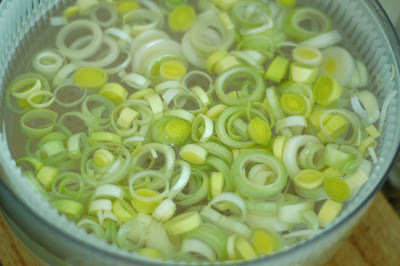 Top with the sauteed leeks. Lower the oven temperature to 350 degrees and bake the tart for an additional 20 minutes, or until the cheese has melted sufficiently. Cut into squares and serve. Serves 4-6 as a side dish. 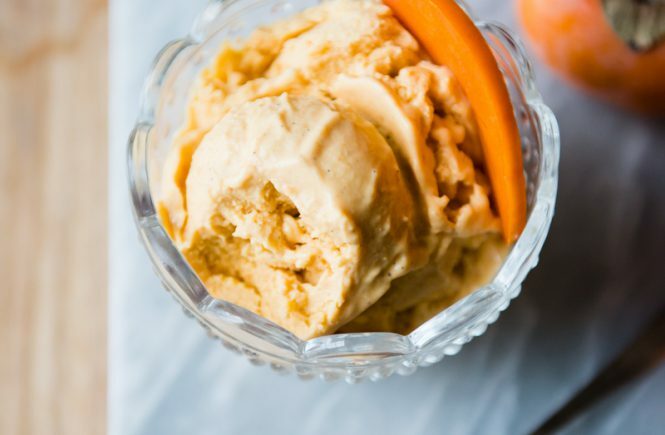 yumm, this looks delish! 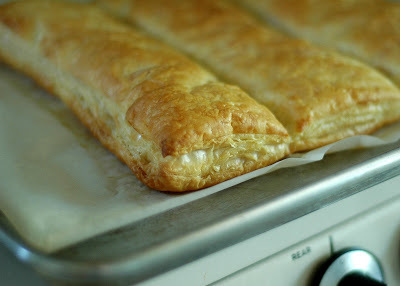 love using that puff pastry, i could totally eat this as a main dish! Keep the goat cheese coming! 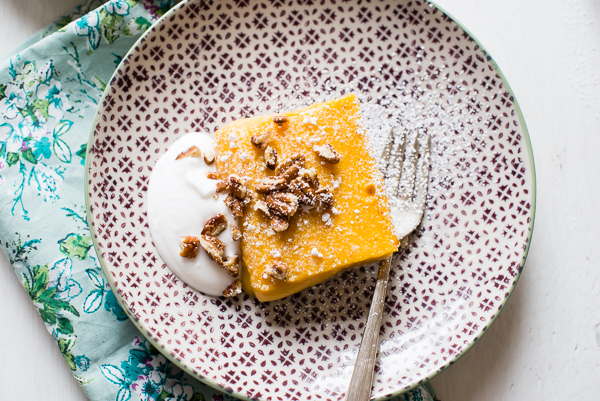 I love that stuff and this tart looks super simple and delicious…a perfect summer supper! 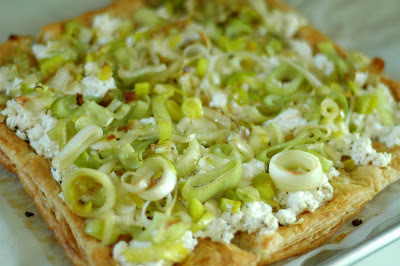 Leeks and chevre. I’m sold. And in a tart? I’m so sold. 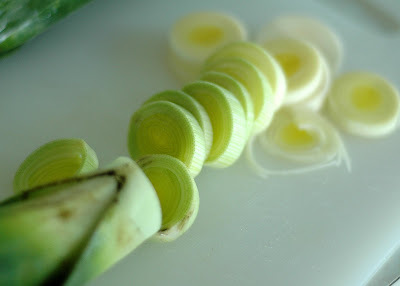 chop off the root end, and slice the leek in half vertically. Then you can fan all of the layers under running water very easily. The demilune cut isn’t as pretty as your “lune”s, though. that looks like great party fare! That is just lovely! …And did someone actually complain about goat cheese recipes? I love chevre and could eat it every day in some way or another if price didn’t prohibit! 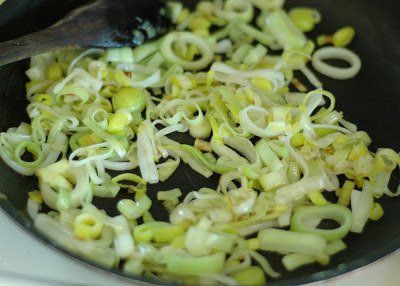 I adore leeks–a totally underrated food. I did something similar with asparagus, but I may have to give your version a try. I never tire of Goat Cheese.. keep it up! 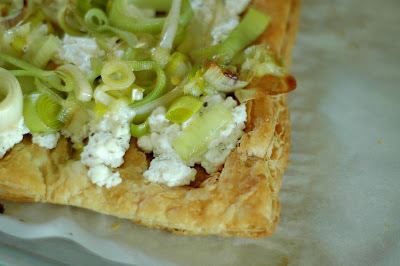 mmmm…leeks, puff pastry and chevre . . . I just died and went to heaven! Looks delicious to say the least!! You can never ever have too much goat cheese…PERIOD. OMG, this looks so yummi!!! Thanks for the inspiration! Can´t await to get home and to screw in the kitchen.